Pavleye is proud to be partnering with The National Theatre in Bratislava, and creative producer Milosh Harajda to bring audiences a unique screening of the documentary, Dancer based on Sergei Polunin. Screening also included a special performance by Polunin, and a Q&A with the enfant terrible of the ballet world himself. Sergei Polunin is the world renowned ballet dancer often referred to as the "James Dean of Ballet" and "the most talented dancer of his generation”. Polunin was the youngest male dancer ever to be made a principal with the The Royal Ballet, and now stands as one of the most profound personalities of contemporary ballet today. Image Video for Dancer Project // Art Ver. Image Video for Dancer Project // Commercial Ver. Pavleye is proud to be partnering with The National Theatre in Prague, and creative producer Milosh Harajda to bring audiences a unique screening of the documentary, Dancer based on Sergei Polunin. Screening also included a special performance by Polunin, and a Q&A with the enfant terrible of the ballet world himself. "We must support art of our days because it is the voice and diary of our time." A Living Space is a unique exploration of one summer at the Laboratory for Performance - Watermill Center where each year the visionary theatre director and artist Robert Wilson gathers almost a hundred artists from all over the world giving them the opportunity to collaborate with a selection of art world celebrities such as Jim Jarmusch, CocoRosie, Philip Glass and Daniel Liebeskind to mention just a few. 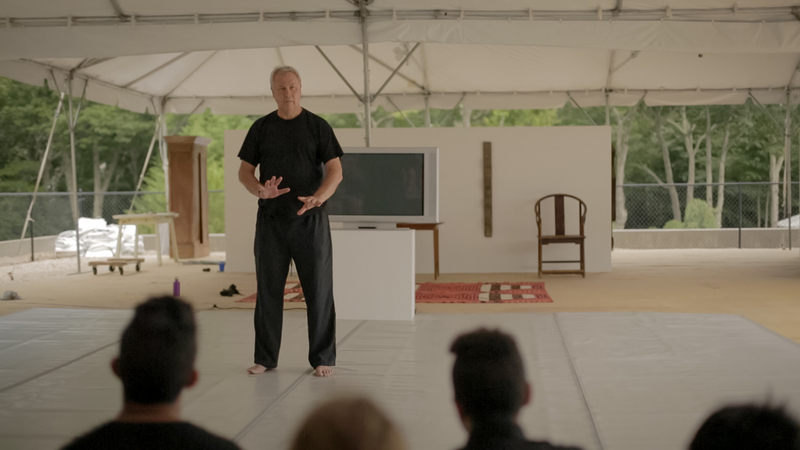 This unprecedented film documents 50 days of the Watermill Summer Program including interviews with Robert Wilson, invited artists and participants as well as never-seen-before footage from rehearsals, offering a glimpse of the exceptional creative ferment and the relentless force of expression underlying all Robert Wilson works. During the past decade, David LaChapelle has already had a few opportunities to blur the boundaries between contemporary art aesthetic and the car industry's impact on our society. In his series named THE CRASH LaChapelle portraits vehicle as a totem-like object in order to mirror the consuming western culture. In 2009 MAYBACH hired LaChapelle to transmit the values of the brand by his visual language and conceptual approach. The AUDI mission for LifeBall presented an exciting opportunity at the LaChapelle Studio to create a 3D object, which is an art piece in its onw right. The new model of AUDI S1 is an “extension” to his series “Earth Laughs in Flowers”, premiered in 2011. 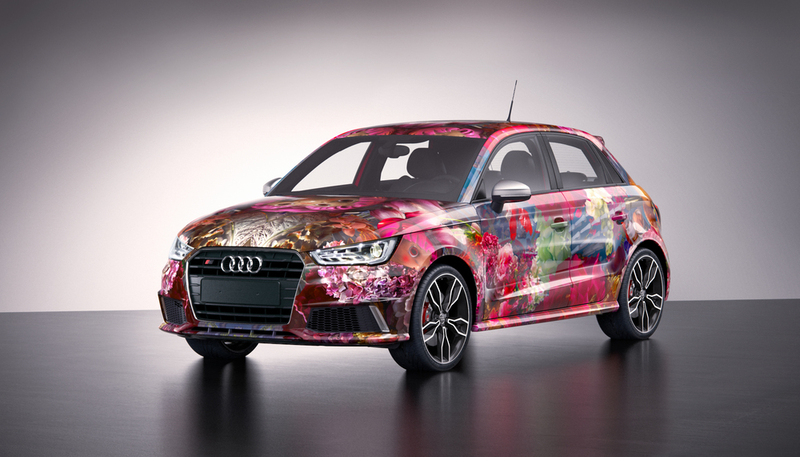 LaChapelle transforms AUDI S1 into a statuesque celebration of his image titled “Springtime”, which is set to become a subject to Life Ball’s annual auction. In keeping with the 'Eart Laughs in Flowers' visual language reminiscent of the old masters' still life oil paintings, this four wheeled art piece boasts LaChapelle's signature in its interior. Pavleye Art and Culture coordinated the executive part of "AUDI by David LaChapelle" production by creating a communication channel between LIFE BALL team, AUDI executive members in order to meet artist’s creative input. Life Ball, which takes place annually at the Vienna City Hall, is one of the biggest AIDS charity events in the world. Ever since it premiered in 1993, the aim of LifeBall is to help affected people in an unconventional way: to fight against the taboo status of HIV/AIDS in our society, to raise funds for people living with HIV/AIDS, and to support organisations and projects in the most affected regions around the world. LifeBall 2014 will be enriched with some particularly aesthetic and artistic momentum, as the renowned contemporary photographer David LaChapelle joins forces with the pioneering AIDS charity event that will take place on May 31st by creating a unique art piece as The Life Ball Poster 2014 and designing a one-of-a-kind car Audi S1 both of which will be auctioned at the AIDS Solidarity Gala. The key visual unveiled in Vienna on May 12, 2014 is a photographic artwork mainly inspired by this year's LifeBall motto "The Garden of Earthly Delights" and Hieronymus Bosch's utopic diverse society living together in passion and peace—as if the Fall of Man had never happened and people had never been expelled from Paradise. David LaChapelle's interpretation portrays a transgender woman and model Carmen Carrera naked in the midst of Bosch's Garden scenery in two versions (female and male) both with a claim reading 'I AM ADAM - I AM EVE - I AM ME'. “Gender lines are blurred and every person is unique in how they see themselves. For me the body is more than something to be looked at as an object of sexual gratification. The body is a beautiful housing for the soul that we are celebrating in this picture”, the artist explains. LaChapelle will tie up his presence in Vienna with a solo exhibition at The OstLicht Gallery titled 'Once In The Garden' which will run from June 2nd to September 14th 2014. We are proud to continue a long-term collaboration with David LaChapelle by providing the artist with a world wide tailored PR service for this event. Pavleye Art and Culture is further excited to have become the LifeBall ambassador in the Czech republic and Slovakia region. Learn more about LifeBall here. OstLicht Gallery located in Vienna's Brotfabrik is a dynamic gallery space staging group and solo exhibitions of contemporary photo artists, both local and international. The Gallery also boasts a publicly accessible library with a vast collection of art books and magazines, a bookshop and a bar aiming to function as a cultural hub for all with an interest in photography. On April 3rd 2014 OstLicht Gallery opened an exhibition titled ARAKI TELLER TELLER ARAKI bringing together two of the most important photographers of our times, showing new works conceived for this joint project and entering into an artistic dialogue. Nobuyoshi Araki and Juergen Teller are united in their radical artistic attitude and their almost insatiable hunger for images as reflections of their personal experience of the world. To commence an ongoing collaboration between Pavleye Art and Culture and The OstLicht Gallery, PAC produced a short video capturing the exhibition opening attended by Juergen Teller. In an exceptional performance of nearly three hours, director and artist Robert Wilson invites us into his astonishing aesthetic universe. Combining hundreds of striking images from through his prolific career, Wilson provides an intimate self-portrait of his creative process. Mr. Wilson references his landmark original works for the stage such as Deafman Glance, A Letter for Queen Victoria, Einstein on the Beach (createdwith composer Philip Glass), The CIVIL warS, and The Black Rider, as well as his acclaimed work for the operatic and theatrical repertoire, including his luminous stagings of Madama Butterfly, Wagner’s Ring Cycle, The Magic Flute, Ibsen’s Peer Gynt and Heiner Mueller’s Quartett. 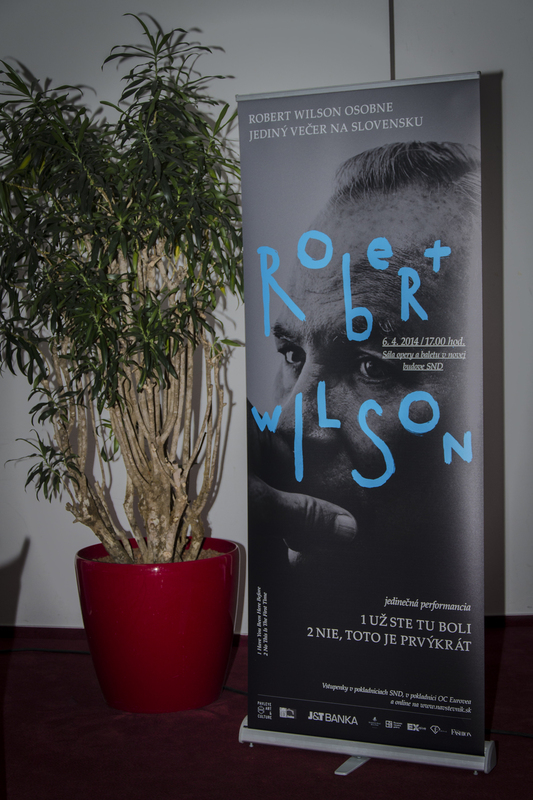 At the conclusion of the performance, the audience is invited to explore Mr. Wilson’s ideas further during an informal question-and-answer period. Angelika Books was established 2011 in Berlin by Angelika Taschen. The independent publishing house focuses on only a few titles per year on topics such as art, architecture, photography, design, fashion and lifestyle. Books can be found around the world at hand selected book shops, concept stores, museum shops, and online. Together with Pavleye Art & Culture, Angelika Books is on a mission to revive the Central European art market and rekindle an interest in modern art by building a cultural bridge between Prague and Berlin. Ingredients Store presents a selection of the latest cult products – niche perfumes, skin care, and candles. All items are crafted using the world´s finest natural raw materials, offering breathtaking olfactory compositions in an exceptional design. The unique beauty boutique also offers a variety of highly performing facials, combining specific massage rituals with the power of aromatherapy and is the only Sisley cosmetic boudoir in the Czech Republic. It is this very mindset and concept that brought Pavleye Art & Culture together with Ingredients Store.With the same goal to unify art throughout Europe and the world, PAC and Ingredients Store have made a pact to collaborate with a regular exposition of art on display at the boutique to introduce the work of contemporary artists. For their latest project with PAC, Ingredients Store ordered copies of the Frederic Malle On Perfume Making books. In collaboration with Pavleye Art & Culture, each copy was hand-signed by publisher, Angelika Taschen. The high-end coffee table books were installed in the store as a special installation for one month. Parley is a collaboration space where influential creators, thinkers, and leaders explore ideas and co-create projects to end the destruction of the oceans. A lead figure in the Parley project is musical genius, Parrel Williams. 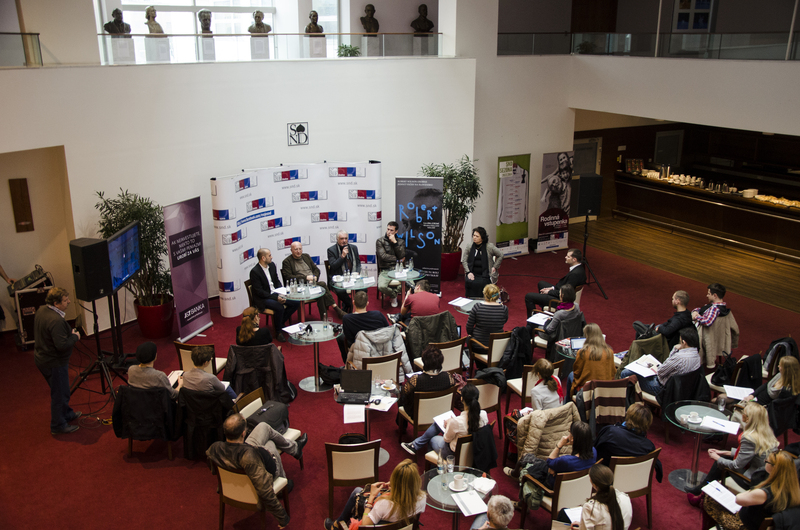 Pavleye Art & Culture believes in the cause and is Parley's ambassador to the Czech and Slovak regions, generating PR coverage and awareness of the preservation for the oceans. LePREMIER boutique in collaboration with Pavleye Art and Culture produced the official Moscow book launch of Angelika Taschen's publication, BACKSTAGE by Anna Bauer. Photographer Anna Bauer flew from NYC to Moscow to shoot the top 10 Russian fashion designers on Polaroid, unleashing the new series at the night of the book launch. A backstage photographer documented the event during production in order to capture Bauer's creation process of the new series of Polaroids. Images from every day of shooting were continuously posted on the Buro 24/7. The event took place in LePREMIER boutique where Anna's book BACKSTAGE gained a lot of press attention from Russian VOGUE, Harper's Bazaar, Russian GQ, and more. Angelika Taschen arrived in Moscow on the day of the book launch for book signing. Pavleye Art and Culture, Dream House and Oh So Living Concept Store in collaboration with Angelika Books present the book launch of ANNA BAUER: BACKSTAGE. 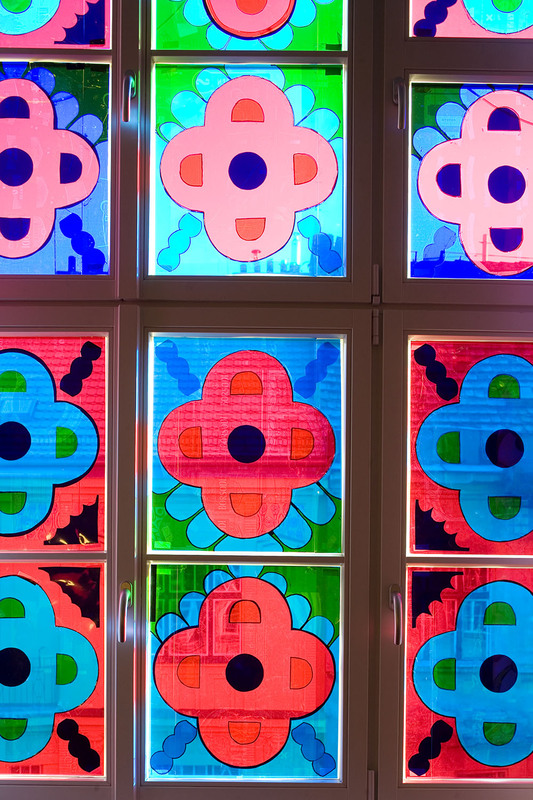 In preparation for the book launch, a window display was designed by Jakub Polanka at Oh So Living Concept Store. 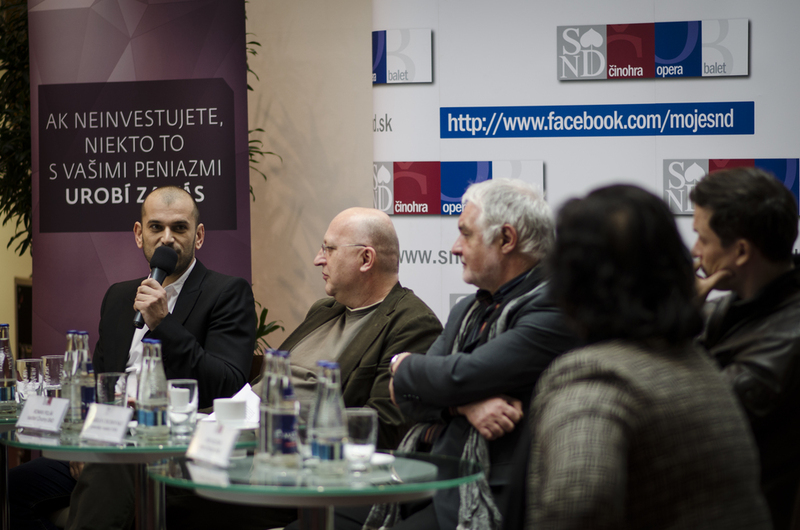 Invitations to press and VIP invitees were designed by Daria Podboj and PAC's own Milosh Harajda. The minimalistic approach for each of these pieces reflects the aesthetics of Bauer's book, designed by Fabien Baron and published by Angelika Taschen. Oh So living concept store hosted the black and white themed book launch party for Bauer's book, hosting many attendees from the Czech fashion art and fashion scenes. Among the guests were CEO of Fashion TV, Gabriela Drobova, fashion designer, Jakub Polanka, the books publisher, Angelika Taschen, and others. Pavleye Art and Culture (PAC) is a creative production agency focused on gallery work and the representation of international and local artists. PAC's pilot project in both of its territories, Slovakia and the Czech Republic, is an exhibition of works by the American photographer, David LaChapelle. Prior to the opening , PAC presented an original concept called the David LaChapelle Press Lounge. LaChapelle’s "Czech Embassy" is the work of artist and art director, Erika Kohoutová, whose portfolio includes set design for international advertising campaigns and renowned domestic and foreign photographers. 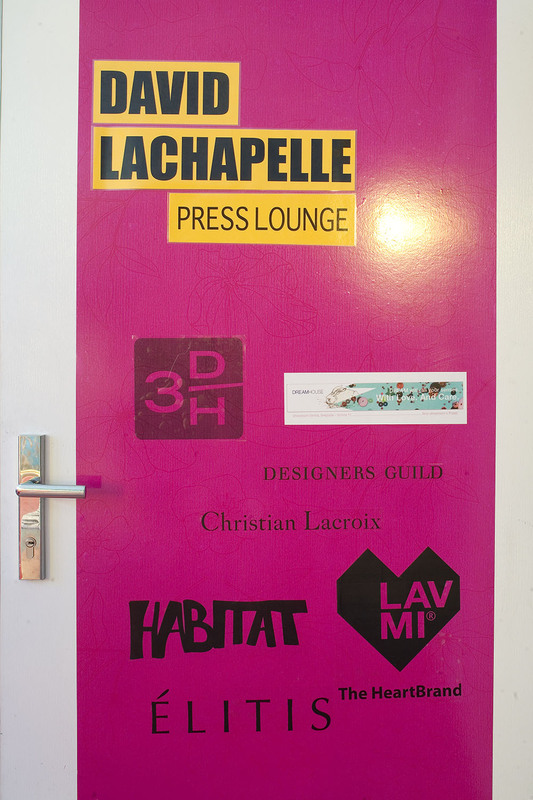 In cooperation with the companies 3DH, Dream House, Habitat and LAVMI, Erika created a press lounge inspired by the atmosphere of LaChapelle’s expressive photographs. This extravagant room manages to blend the principle of the showroom and pop-up store philosophies with elements of a modern gallery space, allowing the lounger to become a part of one of LaChapelle’s surrealist photographs. A red and blue striped floor application was inspired by the iconic imagery of Pieta (Courtney Love) from the cover of his book, Heaven to Hell. The hand painted floor also simulates a marquee next to the playful, artificial grass carpets from Habitat. Tailor-made Czech rugs have over 110 years of tradition yet this project is Habitat's first collaboration with the artistic community. The David LaChapelle Press Lounge is a place between heaven and earth, balancing a fine line between luxurious, organic and innocent. The atmosphere is complemented by the stylish furniture of Edra, Magis and Zanotta all on loan from Pavla a Radek Krčilovi at 3DH. At the center of attention lies the Edra gold Flap sofa and green throne before a flower altar. 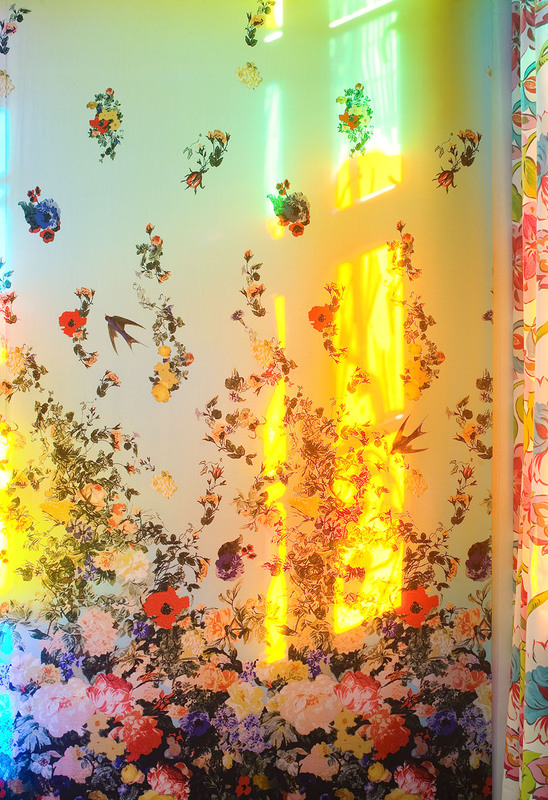 Walls are decorated by Christian Lacroix fabrics and wallpapers from Designers Guild, Elite, and Prestigious Textiles - all represented by Biljana Lazovič’s Dream House. Wall decorations also include French, luxury wallpapers by Elite as well as distinct graphic patterns from Czech-based LAVMI. 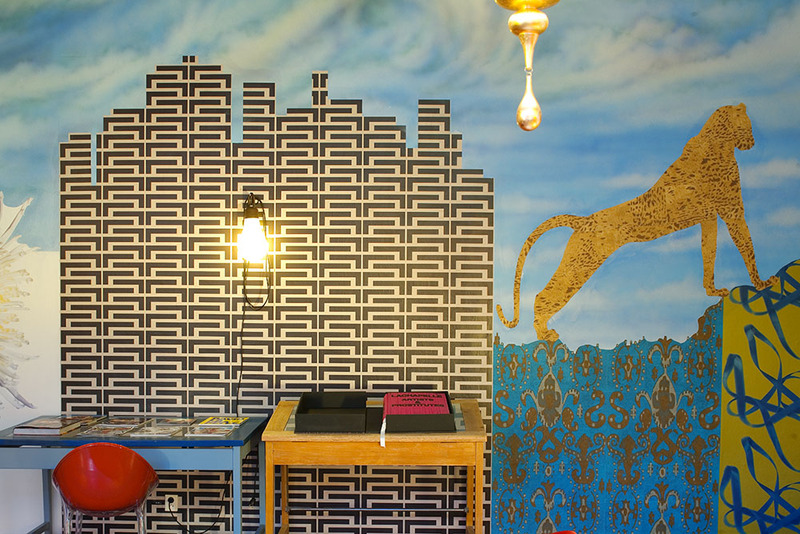 LAVMI are the only wallpaper manufacturer in the Czech Republic dedicated to designing and producing wallpapers with original patterns by the designer, Babette Ondrová. Erika Kohoutová’s creative concept terminates with a sky depicting three bold elements. 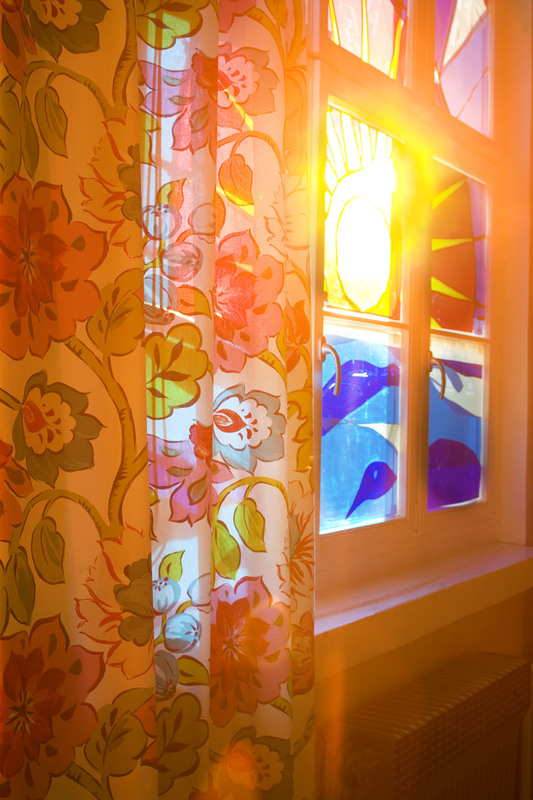 Directly above the lounge is the silhouette of an angel, which is a frequent motif of LaChapelle’s artworks. The hand painted applications continue with kitschy clouds that pass through a spiral storm, inspired by LaChapelle’s iconic photo, Deluge, which is a major element in the curatorial concept of the Prague exhibition, Thus Spoke LaChapelle. 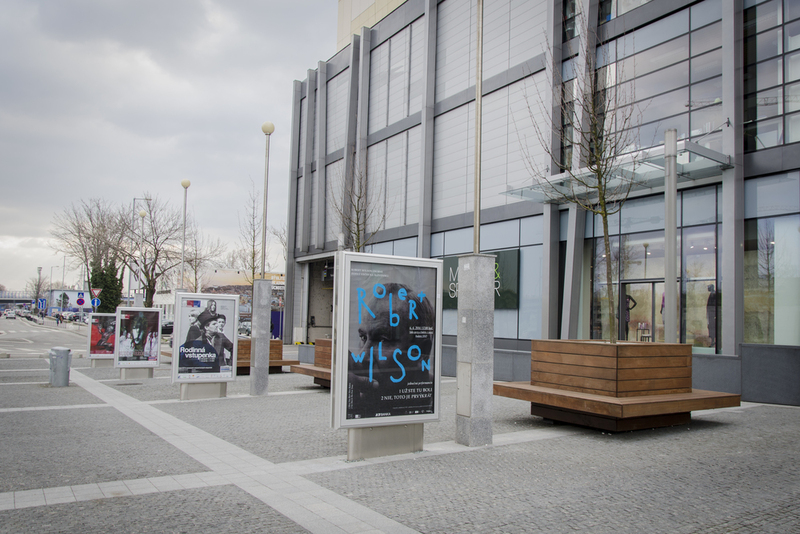 Pražská agentúra PAVLEYE ART AND CULTURE (PAC) je kreatívna produkčná agentúra zameraná na galerijnú činnosť a zastupovanie svetových i domácich umelcov. Pilotným projektom na území oboch krajín je výstava diel amerického fotografa Davida LaChapella, ktorej v Prahe predchádza uvedenie originálneho konceptu David LaChapelle Press Lounge. „Česká ambasáda“ renomovaného umelca je dielom art directorky Eriky Kohoutovej, ktorej portfólio obsahuje sety pre medzinárodné reklamné kampane a pravidelne tiež participuje na foteniach renomovaných domácich i zahraničných fotografov. Vyštudovaná sochárka pripravila v spolupráci s firmami 3DH, Dream House, Habitat a LAVMI lounge office inšpirovaný atmosférou LaChapellových expresívnych fotografií. Extravagantný priestor, ktorý mieša princíp showroomu, filozofiu POP up stores s prvkami modernej galérie ukazuje, aké je ocitnúť sa v LaChapellovom surrealistickom diele. Červeno-modrá aplikácia svätožiary na podlahe je inšpirovaná ikonickou snímkou Pieta (Courtney Love), ktorá bola použitá na obálke knihy Heaven to Hell. Ručne maľovaná podlaha tiež simuluje hravé šapito doplnené umelým trávnikom a exkluzívnymi kobercami firmy Habitat. Na mieru vyrábané české koberce majú viac ako 110 ročnú tradíciu a tento projekt je ich prvou spoluprácou s umeleckou sférou. David LaChapelle Press Lounge je miestom medzi nebom a zemou, kde existuje len tenká hranica medzi luxusom, prírodou, detskou hrou a artefaktmi veľkomesta. Atmosféru dotvára štýlový nábytok firiem Edra, Magis, Zanotta pochádzajúci z portfólia firmy 3DH, za ktorou stoja Pavla a Radek Krčilovi a látky a tapety značiek Christian Lacroix pre Designers Guild, ELITIS, Prestigious Textiles, ktoré zastrešuje Dream House. Centrom pozornosti je zlatá sedacia súprava Flap od firmy Edra i zelený trón umiestnený pred kvetinovým oltárom. Koncept David LaChapelle Press Lounge dopĺňajú aj látky Christian Lacroix, ktoré v Čechách zastupuje firma Dream House, za ktorou stojí Biljana Lazovič. Použité materiály boli privezené zo showroomov v Londýne a Paríži. Kreatívny koncept Eriky Kohoutovej ukončuje nebeská obloha pozostávajúca z troch elementov. Priamo nad lounge sekciou je zobrazená silueta anjela, ktorý je častým motívom LaChapellových diel. Ručne maľovaná aplikácia pokračuje gýčovými mrakmi, ktoré prechádzajú do špirálovitej búrky, kde hlavnou inšpiráciou českej set dizajnérky bola LaChapellova fotografia potopy sveta- Deluge, ktorá tvorí súčasť kurátorského konceptu pražskej výstavy Thus Spoke LaChapelle. Za zapožičanie produktov ďakujeme spoločnostiam: 3DH, Dream House, Habitat a LAVMI.